They are not quite the same thing: Appreciation and Gratitude. I appreciate someone or something by seeing the goodness in them. I am grateful, generally, for a quality or act or gift that is offered or expressed by someone. I appreciate horses. I am grateful to horses. There are so many ways that horses have served humans and so many ways in which we can now repay them, on all levels. The concept of “Wind Horse” is ancient and Tibetan. This being carries our dreams to the stars and connects “Earth and Sky”. Wind Horses are on prayer flags; dancing in the wind, releasing prayers of Peace and becoming threadbare then merely threads atop the highest mountains of our Earth. It is not simply by chance that horses are chosen to represent our dreams and the best parts of us. Horses have made our dreams possible. The little horses of Mongolia, Tibet, China – past and present – were the “technology” and transport that built civilizations and cultures. 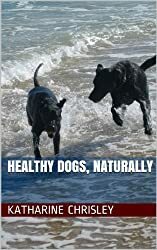 Even choosing to stay as herds in the company of their humans without fences or ropes, they shared and share a rich and difficult way of life. Mares’ milk sustained the nomads and remains their only source of Vitamin C! And respect, appreciation and gratitude require that the mares’ foals get the milk first. The horses of Europe fought great battles. The horse in the Americas built roads, hauled logs, tilled fields and also fought bloody battles. 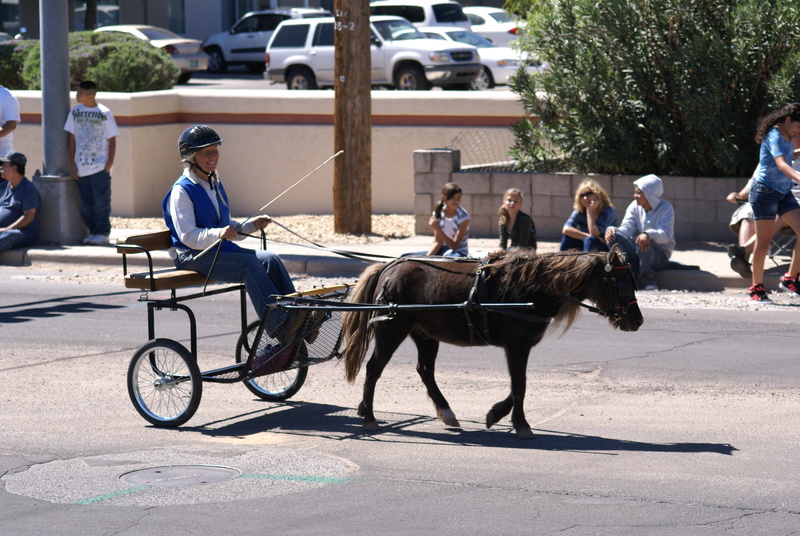 Miniature horses and ponies went into mines to pull carts of coal or minerals and lived their lives in the dark depths for our benefit. Donkeys remain “beasts of burden” throughout the planet and mules pack, ride and pull for humanity. I appreciate equines. I am grateful to equines. All of humanity is indebted to the horse and his cousins. So, I have some specific horses that I am honored to love and, just like having a human soul mate, having these equine soul mates gives me focus, purpose and contentment. The very act of allowing me (and my students) to ride and direct them is a testimonial to the generous equine nature. There can be days when nothing seems to go right – hooves are tender, ears are itching, backs are sore or mares are in season… these are the times of the greatest lessons! It is never the horse that lets us down (although we can let our horses down by not honoring their needs or by forgetting that they are just as vulnerable as we are); we only fail in our horsemanship if we fail to learn. Every situation within an encounter with horses is an opportunity for growth and healing… for the human and for the horse. If it is a lesson situation and things are not going according to my plan – I quickly open to the lesson the horse has to teach! Children who are scattered, squealing and oblivious to the horse will be taught to be focused, quiet and aware by the wise equine who will ignore them until some sense of composure is achieved. I, as the instructor, am simply the “translator” of facts and dialog between the rider and the horse, hopefully helping each attain rapport with the other. Adults who are pushy or aggressive quickly learn that they frighten horses and become better able to exercise self mastery and calmness to find communication skills that honor the relationship. This can extrapolate to other relationships in their lives. 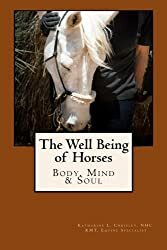 All this points simply to the need that exists for human beings to value the past gifts bestowed upon our species by horses and celebrate the new relationships we are forming with them based upon mutual respect, Appreciation and Gratitude! There is something to be said for getting so busy, you don’t have time to worry. Lately, just by letting go of the worry, I have found that things I was actually needing (but did not know how they would be procured) appearing as if by some wonderful magic. Really. 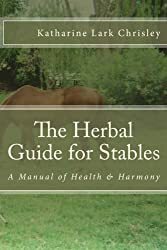 I had made a wish list that included a tea kettle, bed sheets, a stall guard, head bumper, half chaps, full chaps, more riding helmets, saddles for the lessons, boots for Wally, some different sizes of girths… the list is long and some priorities are herbs for winter, probiotics, kelp, etc. Over the past week I have been given, by dear friends – a tea kettle! Bed sheets! A stall guard! Head bumper! Half chaps! Full chaps! Girths and splint boots and a helmet AND 2 saddles! I had not told anyone about the things I was needing. My friends understand the work we do here. They know how hard I work and that, right now, we are on a shoestring budget. What they may not know is just how precious their gifts are to us. They may not know how much they are appreciated… I hope they do, but I may not express it eloquently enough. They heal my doubts with their kindnesses. So, tonight, I finish watching British comedies, eating beans my brother cooked and bread homemade by a student’s mother. I count blessings that cannot be measured while I brew a pot of cinnamon tea and finish my column for the local paper (hours before my deadline). The horses are fed with extra grass hay and large sloppy bran mashes to assure their health through the chilly night. My Mother and brother welcome a new, tiny , unexpected dog into their family tonight – brought by another student whose daughter found the abandoned pooch. This, just after the passing of their beloved Dachshund. The magic is real. The drawing to oneself of what is needed can instantly occur if the doubt melts away… if the sense of lack and limitation is abandoned. If I get out of my own way, the life I love presents itself like an old friend or lover with a big smile of “what took you so long?”. Yup.